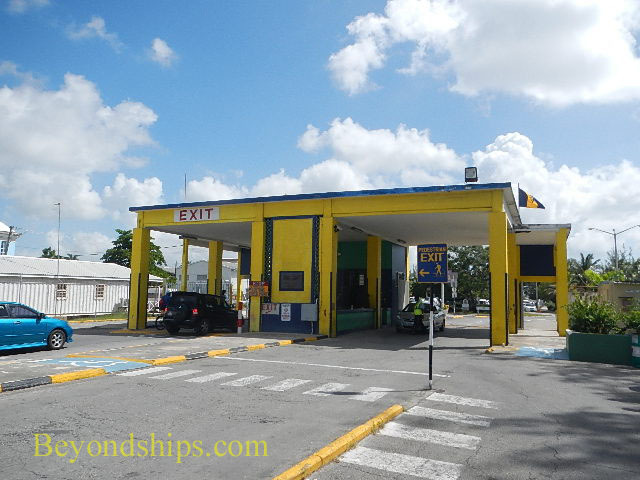 Although the cruise port in Barbados is referred to as the Bridgetown Cruise Terminal, it is not in the heart of the city. 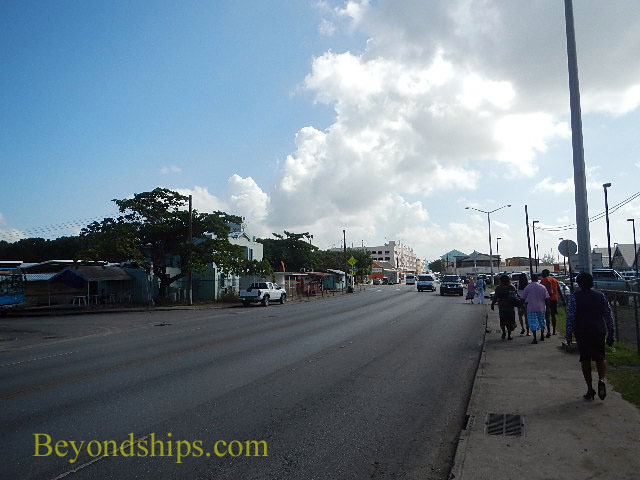 However, it is a relatively easy and straight forward walk from the cruise terminal to the main shopping district of the capital and its historic sites. A little further on, cruise passengers can get to the line of beaches around Carlisle Bay. 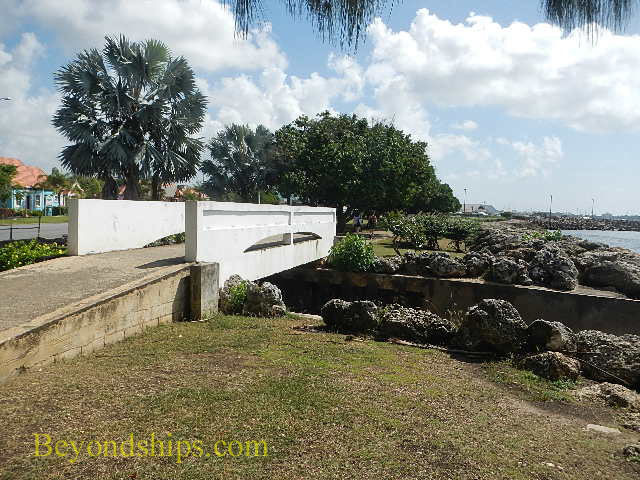 Built in 1961 on reclaimed land, the cruise port in Barbados is a rctangular shaped harbor. Cruise ships dock along its two longer sides and occasionally along the shorter southern side. For passengers, access to and from the cruise port is through a pink cruise terminal building at the southern end. Depending upon where a ship is berthed, there are normally complimentary shuttle buses to take passengers from the ship to the terminal building. 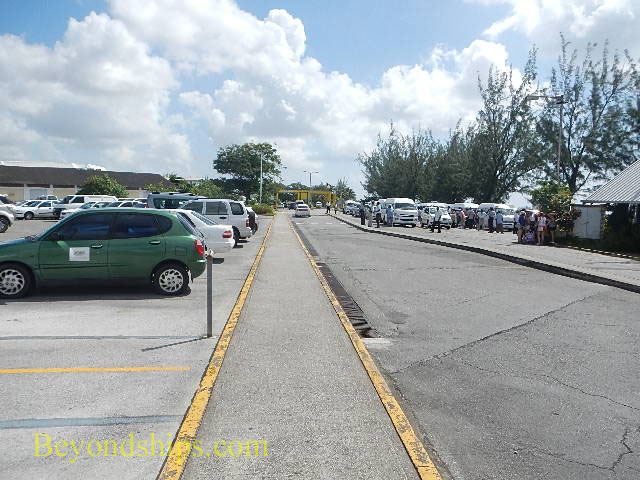 You usually also have the option of walking to the cruise terminal. 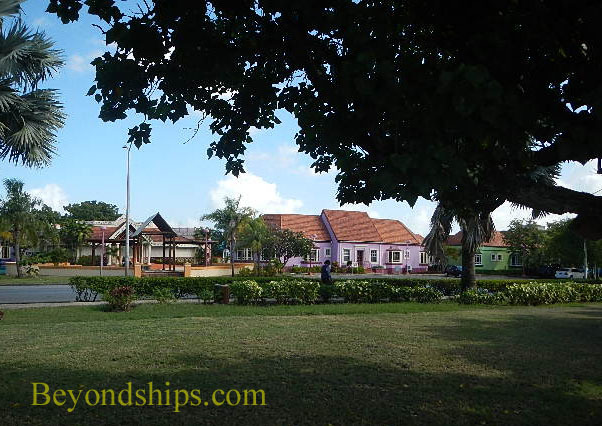 Along the way, you might pass a military ship, a sailing ship or one of the Barbados tugs as well as other cruise ships. However, beware of the shuttle buses and other traffic. Inside the terminal building are two rows of shops and stalls. There are two exits on the opposite side of the building from where you came in. The first leads to a covered area where passengers assemble to go on shore excursions. The second is further down and leads to an area where taxis wait to pick up passengers. Above: You exit the back of the cruise terminal. Below: The sidewalk goes across the parking lot to the cruise port gate. 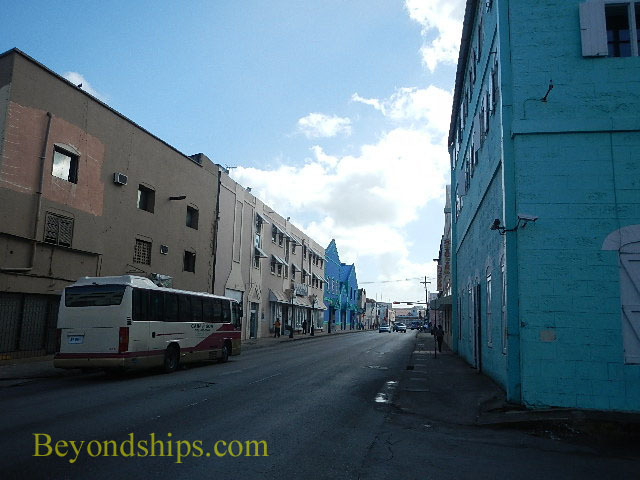 Once you pass the entrance to the port, you have the option of walking along the sidewalk that runs along Princess Alice Highway, the busy road leading from the port into downtown Bridgetown. The main attraction on this route is the Pelican Craft Centre on the left hand side. A little further down on this side is a public bus terminal. Alternatively, you can walk along the paved path to the right of the highway. It runs along the shore, is shaded by trees and goes through a pleasant park. I prefer this alternative. Indeed, it is one of the most attractive parts of this walk. Unfortunately, the park does not extend all the way to downtown Bridgetown. Eventually, you have to walk on the sidewalk along Princess Alice Highway. You go past the fish market and various commercial buildings, some of which are quite old. It is not a particularly attractive stretch but neither is it the worst place in the Caribbean.